I started day one this year with this simple words: «And now we welcome the new year. Full of things that have never been». We are finished with just one month of the year 2016, and so far we have seen a lot of things that have never been. Is it more to come? Yes, I think so. I think 2016 will be full of surprises. The start of the new year have been brutal, but we are not in a bear market yet. Nasdaq slid -1,82% on Monday and we are now about 1% from entering a bear market. 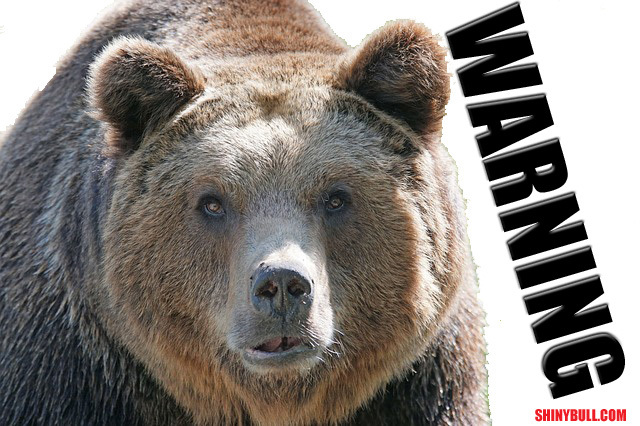 The stock market need to fall more than 20% to be called a bear market. Otherwise it is just a correction. S&P 500 and the Dow peaked in May last year. Nasdaq peaked in July 2015, so it`s long time since the top. The spread has warned us in months. As you may know, we are now entering a critical moment. But what`s holding the market up is the blue chips. Big companies can go up while many small companies can go down at the same time, and that can make the index go up. The Dow consist of thirty leading companies, and are a price-weighted index. Stocks with high prices count for more than stocks with low prices. The index goes up if stocks with high prices are doing it better than stocks with low prices. It`s different with Nasdaq, which consist of a hundreds of stocks and most of them are in the tech sector. Nasdaq is not price-weighted, but a capitalization-weighted index, which means the most valued companies like Alphabet and Apple count for more than smaller companies. It`s easy to be blind if you only look at growth-stocks like Alphabet and Facebook. They are both big, but if you look at the Russel 2000 index, which is an index of small-cap and medium-cap stocks, it is different. That market is more nervous, because small and medium-cap stocks is more risky than blue chips. Bullish investors argue that most of the bad news is already baked into the market, and if the carnage we have seen so far this year is a correction, we will se the market bounce back very soon. I will follow the oil price, what happens in China and the Fed the coming days. Fed Chair Yellen testifies on Wednesday and Thursday. We are not in a recession and many institutional investors are closely watching the economy for any sign of negative GDP. We are not there now, but we are close. What we see is a decline in companies earnings. Big buyers are patient and will jump in once the correction is over. If not they will hit the panic-button. 2016 will be the year of change. The benchmark Nikkei share average rose 2.2 percent to 14,588.68.The highest since Oct 23, and posted the biggest daily percentage gain since early September. Dow hits record close and this is 35th this year. It was a quit session and bank holiday as the U.S celebrated Veteran`s day. The DOW finished at a new record close of 15,783,10. Up +0,14%. The Federal Reserve will use its tentative outright treasury purchase schedule will pump nearly six billion dollars into the markets in one day. This can move some markets and look for the bond market. On friday, Sony lounches its PlayStation 4, while Microsoft releases the Xbox One next week on Nov. 25. Great timing for both of them, but what do you want to buy? Playstation 4 or Xbox One? Solar stocks are bouncing back again after last thursday’s SolarCity-led sellof. The industry sentiment has been increasingly positive because of the good earnings news, optimism about the demand for 2014 and signs government support remains healthy. JA Solar (JASO) is up +10,1%. JKS is up 10,5%. CSUN is up +8,8%. STRI is up +7,3%. TSL is up +7,9%. Fed speakers are in focus.